Even though Valentine’s day hasn’t yet past, it is time to be planning and preparing your Spring Marketing! If you want to start March out right, be sure to have your referral, reactivation, and new patient programs ready to go BEFORE the month starts! We have seen March to be one of the best referral months! Some great ideas are offering a real four leaf clover for new patients and or when someone refers a new patient. A March Madness theme is also very effective! 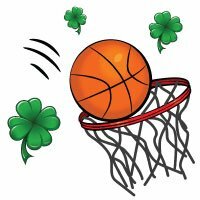 You can decorate the office with basketballs and a hoop and have March Madness new patient specials and offer a basketball for referring or give them a shot to make a basket to win… we have tons of ideas! Now you may like the idea but not have time to implement a campaign like this, but don’t worry… We have it all in place and have everything you need! Just give us a call or check out this link to see some samples that we will customize to your practice by CLICKING HERE. March is a great month to reach out to your patients to increase their patient visits, recall, reactivate, and inform them on other products and services you offer. This works great in conjunction with a March Referral Booster! This simple point of contact consolidates several areas of marketing! Check out the great sample design below that we can customize to your practice. We do all the work for you including consolidating your patient list, running the list through the national change of address database, custom designing your card, providing content and ideas, printing, addressing, mailing and postage for one very low fee! This is recommended to do quarterly and we do it all for you for only $297/month for 1000 households. Check out additional samples and/or sign up by CLICKING HERE. 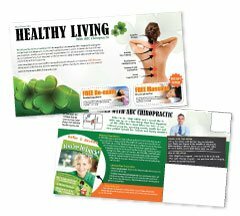 Everyone loves new patients and New Patient Chiropractic Postcards work great in March as people are getting taxes wrapped up, the weather is turning, and they are getting more active which stimulates the pain they have been suffering with. We have a ton of great March specific designs as well as Spring Marketing postcards that address different ailments and conditions like allergies, winter blues, fatigue, headaches, stiffness and much more! 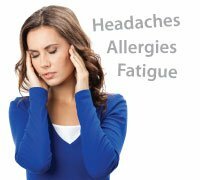 We can even get lists of people in your area that suffer with these and other symptoms! CLICK HERE to see more sample ideas and to get started. We will remind you again early next week about getting started with your March Marketing. You want to have it started no later than February 22nd to ensure you have it done and ready in time to make March a month to remember!